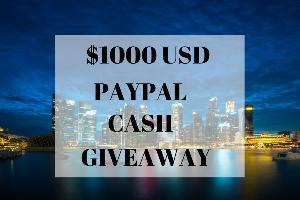 What you must do to enter: Please leave a comment below with your email address. Sign up for a cash app account using my referral code. Come back on this blog post on October 1, and every month on the first and I will have a set of instructions. Statistics: This contest was opened by 212 and entered by 13 ContestChest.com members. 6% of those who opened the contest, entered it.